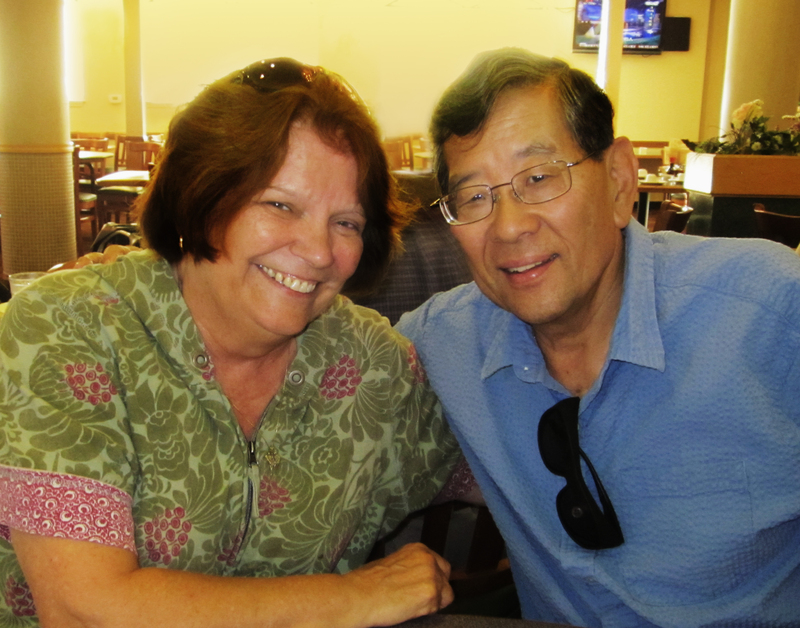 Wayne Maeda (right) and his wife Lorrie Toohey-Maeda (left), both were Sacramento scholars — he at Sacramento State, she at Sacramento City College — died within three days of each other last week, both succumbing to cancer. Lorrie Toohey-Maeda’s breast cancer had come back, but the longtime Sacramento City College history teacher put off chemo treatments to be with her husband, Wayne Maeda, who was suffering from cancer, too. Wayne Maeda, one of California’s leading voices on Japanese American history, died Feb. 27. His wife, a well-regarded academic in her own right, died three days later. Their passing is a blow to Sacramento’s ethnic and academic communities: In their careers, Maeda, 65, and Toohey-Maeda, 64, collaborated to tell the story of Japanese Americans in Sacramento and the Delta, according to Greg Mark, director of Asian American studies at California State University, Sacramento. Maeda, a professor at Sacramento State for four decades, founded the university’s Asian American and ethnic studies program. Sacramento State plans to create an Asian American studies archive and name it after Maeda, Mark said. Maeda broke new ground with his book, “Changing Dreams and Treasured Memories: A Story of Japanese Americans in the Sacramento Region,” according to Kenji Taguma, editor of Nichi Bei Weekly, the oldest continuous Japanese newspaper in the United States. The son of Japanese Americans interned at Poston, Ariz., during World War II, Maeda grew up in Dayton, Ohio. He burned with a passion for justice, built bridges between Asian Americans and other disenfranchised people of color and was dedicated to never letting the mistakes of American history be repeated. Taguma said he became a student activist at Sac State in 1991 after stumbling into Maeda’s Asian American studies class by accident. The targets were three synagogues and the local offices of the JACL and the NAACP. Toohey-Maeda, a Yurok Indian, was born in Eureka and taught history at Sacramento City College from 1998 to 2012. She and Maeda became close friends and married in 2008, Saltzman said. In 2011, Maeda was diagnosed with Stage 4 bladder cancer and had a kidney and 13 lymph nodes removed in August – the first in a long chain of tragic news for the family, Saltzman said. Satsuka Ina, a longtime friend whose husband has battled cancer, said the four of them would meet to support each other. “Lorrie always looked on the bright side, and brought that out in him,” Ina said. She asked friends to fill their garden with flowers so when he came home from surgery, “he could look out the window and see how loved he was,” Ina recalled. Last November, Toohey-Maeda had taken her son up the California coast to Trinidad, where her grandmother Mary Beech was the last of her Yurok tribe to be born in the old Indian village of Tsurai. “Mary was born in a hut on the beach, and my mom wanted to be buried in Trinidad with Wayne,” Saltzman said. Survived by: daughters Yumi Maeda and Sachi Maeda, and ex-wife Elaine Matsumoto Maeda. Known for: Longtime history teacher at Sacramento City College; curated exhibits on Japanese Americans and ethnic groups during the California Gold Rush; helped families struggling with developmental disabilities. Survived by: son Jamey Saltzman, daughter Kristine Saltzman, two grandchildren. Services: A joint service will be at 3 p.m. Friday, Buddhist Church of Sacramento-Betsuin, 2401 Riverside Blvd. A potluck reception will be held after the memorial.